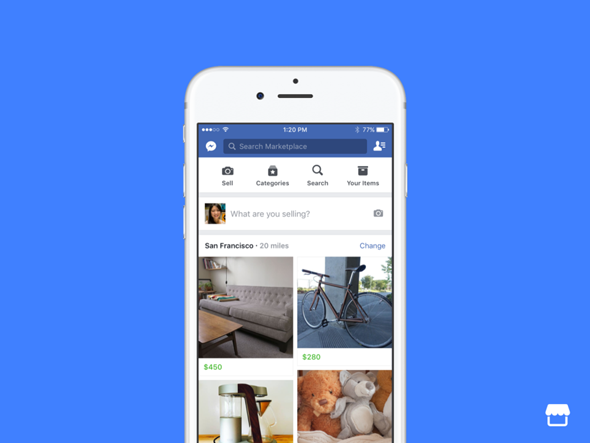 Facebook have finally rolled out their Marketplace feature to users in Australia. This will allow you to post up items for sale, which will show to your friends and also if you select – nearby users on Facebook, eg people in the same city as you. You may already be sharing your life on Facebook, now you can sell your unwanted possessions just like you would on Gumtree or eBay. It’s worth noting that the Facebook Marketplace is only available on mobile devices, specifically the iPhone and Android platforms. Also the application doesn’t take any payments or provide delivery options – it is more like Gumtree where users have to make contact and arrange a place to exchange items. You can read more about this update on the Facebook website.